This sort of car isn’t something that I could ever realistically think or even dream about owning. I can barely keep my oddball fleet of vehicles on the road. This Packard Single Eight is from the era when, even though the cursed income tax had already been in place for several years, rich people were still very, very rich. Sort of like dot-com folks from the last couple of decades. As in, when spending the equivalent of several houses worth of money on a car doesn’t even cause a person to blink an eye. I’m thinking of updating the pedal pads on the Renault GTA, that’s a big enough investment for me. I couldn’t imagine the cost of owning and maintaining a car like this beauty. This car has the optional dual side mount spare tires which you would expect to see. This isn’t the best photo. Dare I say that for such a fantastic car, the seller really should have paid someone to take photos or at the very, very, very least, taken it out into the sun and captured some great photos, even with a camera phone. I promised myself not to mention bad photo quality as much in 2019 so I’ll stop here. 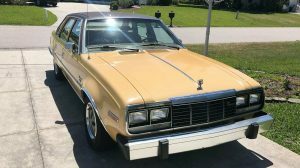 That being said, like shipping costs not being an issue for anyone with the means to buy this car, anyone truly interested in this car will know the history and won’t care about a dark, skewed photo. The 7-passenger touring car is body number 245, in case anyone is keeping score. The story of this car is pretty incredible. “In the year 1924, my family’s 143 was bought by a Danish-American (Isac Heymann) who had made a fortune in The United States. 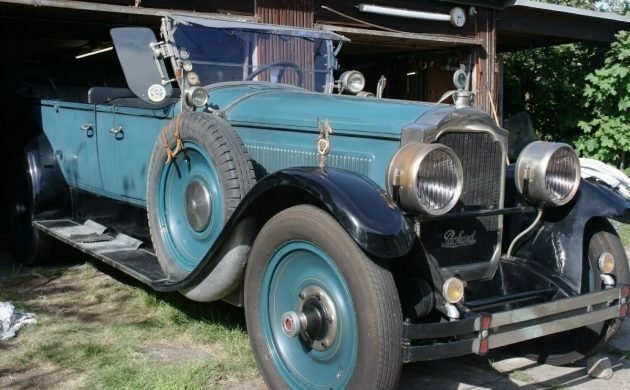 Along with the Packard, he bought a Cadillac, and with both cars he returned to Denmark at the end of 1924, where he intended to settle down. 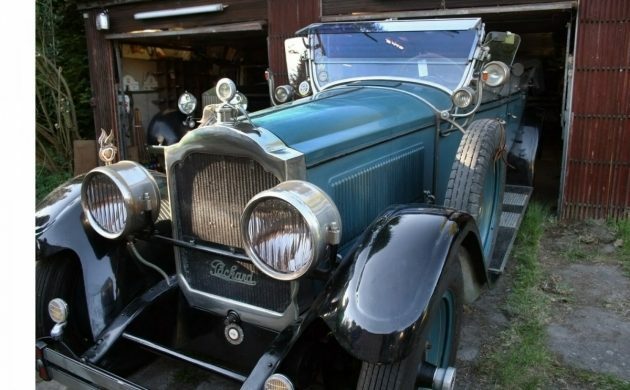 However, he had not considered that the Danish tax authorities would want to have a substantial part in his quickly earned fortune.” Unfortunately, he was killed in an accident with the Cadillac in 1927 and the Packard was basically garaged until the 1960s. It was garaged again in 2004 where it has remained until now. 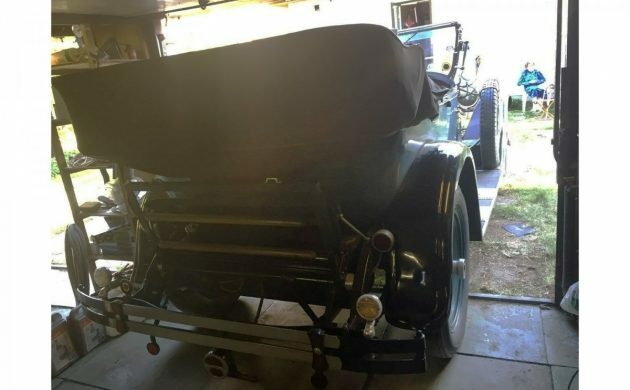 You can fit six of your friends or family along with you and have a great time with this Packard. If you can afford to spend what some new SUVs cost to haul seven people around, I’d rather have this Packard any day. This is Packard’s 358 cubic-inch straight-eight with 85 hp. 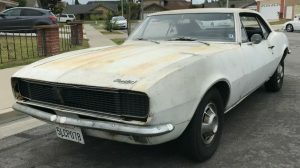 The seller says that the “motor will probably need restoration.” A lot of the car will need to be restored or at least refurbished in order to make it a driver-quality car. This is a Pebble Beach-type of automobile, rather than just an old car. It was the longest, most luxurious car available at the time from an American manufacturer and I’m on the fence as to what I would do in a post-Powerball world. 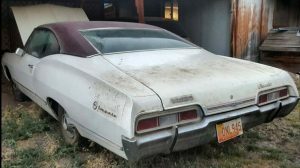 Restore it or just get everything working and drive it. What would you do with this beautiful Packard? ” scrolled past this” No way! it stopped me dead in my tracks….but then so did the price. Beautiful car. Not only is the price out of my range, but maintaining it would be costly as well. I can just imagine driving along a country road, looking out over that hood and feeling the wind in what’s left of my hair…. Gorgeous automobile! This is one of those cars where words just don’t do it justice. This is the type car I’d give my eye-teeth for but I know it will never happen. I know what you speak up and auto shop back and 67 – 68 my shop teacher had a Packard and did the same thing. So you definitely have a back up there along with the owners. Absolutely stunning automobiles. As a long-time Packard repair person, I can assure people the “Nickle test” is easy to perform on a good running Packard Eight, even the smaller 282, 288 or 327 Eights. I’ve done it hundreds of times. Car appears to be in excellent cosmetic shape for a young 95 years. Restore? Heck no – repair the things that need attention, and leave it as-is. 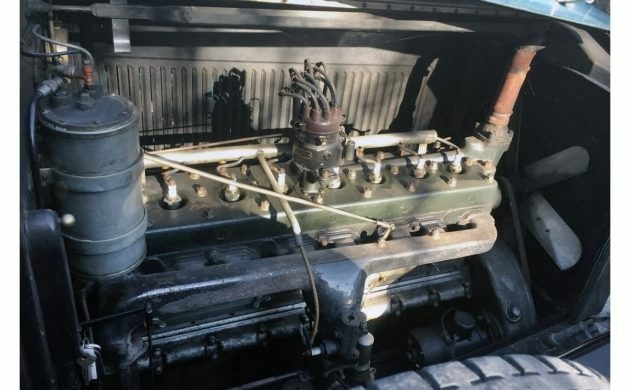 When tuned correctly, Packard straight-8 engines are eerily smooth. Hope the new owner drives this & doesn’t store it out of sight for years & years. Wow! Just WOW! What an artifact! Really too cool even to describe – but you guys did a Yeomans’ job at describing it! Goodness – How long is this thing? Oh how I would just love to see this old Packard motoring along a turnpike on a sunny, warm day with smiling faces inside – just enjoying the ride! Fly in and drive home? The form is so beautiful it’s almost hard to contemplate that it once had a function as well. A manufactured work of art. Never again will anything this substantial roll out of a factory. It does my heart good to know there are still fans of these fine automobiles. The Cadillacs during this time were just as regal and classy. 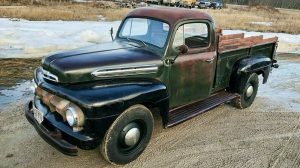 Wow seriously that is a beautiful vehicle and what an adventure getting it, fixing it, restoring it and driving it, it would be like a Time Warp back just working on it. I love to work in engines etc. From another time there is so much new old stuff to learn! The car is wonderful just not wonderful enough for the price in my place in life right now. This era will return. The market will become saturated with non-repairable junk with a designed max life of 10 years. We will a-gain see, small car builders produce cars and it will be a great time seeing all creations! Dear readers, please find and study the de-facto doctrine. For your own future sake. The 20’s were led by the “3 P’s”: Packard, Peerless and Pierce-Arrow” plus RollsRoyce and later, Cadillac, Chrysler and Lincoln. Duesenburg was in a separate class by itself. Found a near identical car (in limosine form) in the basement of a neighbor as a kid. Up on blocks, parked there in 1947. “Grandpa” had collected extra engines and transmissions and salvaged store shelves, packed with NOS and rebuilt parts. One of my aching regrets in not finding some way to acquire it and keep it for when I was old enough to take care of it. Asking price in 1977 was $10,000 for the pile. Might as well have been 10m to a high school age kid. Went back about 10 years later and it was gone. Never have been able to pick up the trail, even though I put out feelers in the Packard “community”. That must have been a hell of an accident in the Cadillac, which would have been a similar size to this Packard. T-boned by a bus? If you were driving a 1920s large car in the pre-WW2 era, and had a serious accident, chances were very high you died, because the bodies were wood framed, and the glass was simple plate glass that left long shards of razor-like glass. If you didn’t go flying out of the car, the glass often did you in. Correct – Serious Accident. In addition, there are the immutable Laws of Physics, Mass, Velocity, Energy. Given the size and mass of this car and the size of the average car that was on the road in Denmark at the time, a serious accident would have been the result of high speed (of course, brakes were also marginal at the time) or masses of similar (or much larger – delivery truck) that would have caused a dramatic expenditure of potential energy through the car and subsequently the human bodies therein. This is a awesome car! Price doesn’t scare me one bit. Buying from overseas does tho. I wished that it was in the states! If it was I would be very interested. In those days, there was no engineered body collapse on impact, or airbags, or seatbelts, or collapsable steering wheel, so a front impact at a relatively low speed could result in death. Don’t want to wear seatbelts? Oh my! But I would drive it. Don’t drink the Kool-Aid … no one is ever truly safe. I was safer when out on mission in AFG than I ever am back home. From drunks to texting morons to outright loons, we are surrounded by potential threats. 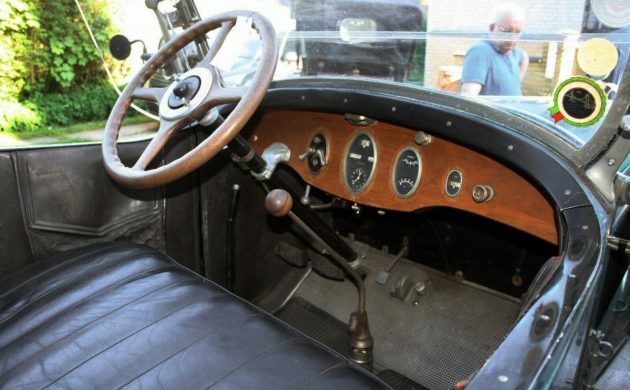 The key, like when driving an early car, is situational awareness and not putting oneself in the path of obvious harm. Well said, Burger. And, thank you for your service to your country, sir. Question for the more knowledgeable – what is the purpose of the spark plug on the intake manifold pictured above? I would guess a pre heat plug, to make the intake air hot! Like a glow plug? I think? Thanks! Did some research, and it was designed to pre-heat the intake mixture to help with atomization of the air/fuel mixture. Apparently this was necessary duel to gasoline used at the time – wasn’t like what we have now.